Discover the fascinating history of Chicago—home to Barack Obama, Al Capone, the Chicago Cubs, politicians, mobsters, and more—told through 24 dramatic true stories. 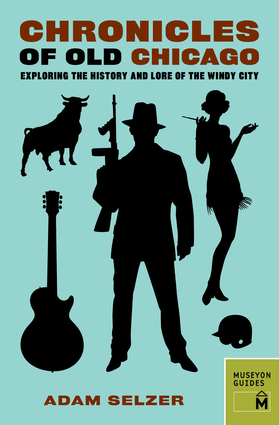 Known as an expert on Chicago's folklore and crime stories, Adam Selzer takes readers through Chicago's history from the 1800s to the present with tales of the politicians, eccentrics, and the famous and infamous who shaped the city. Essays explore historic events from the Great Chicago Fire of 1871 to the beginnings of the film era (Chicago was home to film long before Hollywood) and the historical contributions to the birth of rock 'n' roll. Also included are guided walking tours around many of the sites mentioned, illustrated with color photographs and maps. Adam Selzer is a historian, a tour guide, and the author of 15 books ranging from young adult novels to histories of the Windy City, including Ghosts of Chicago. He appears regularly on TV and radio talking about Chicago history. He lives in Chicago.